INDIANAPOLIS, January 22, 2019 – Action in the 2019 Nastia Liukin Cup Series will resume next week, with three events slated for Jan. 31-Feb. 3: Buckeye Classic in Columbus, Ohio; Chow’s Challenge in Galveston, Texas; and Fiesta Bowl Invitational in Phoenix, Ariz. 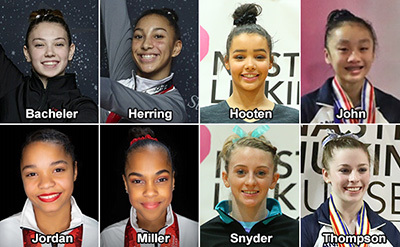 Performances at the 18 invitational meets in the Series determine the gymnasts who will compete in the 2019 Nastia Liukin Cup on March 1 at the Greensboro (N.C.) Coliseum. 2019 is the 10th annual edition of the Cup, which was started in 2010 by 2008 Olympic all-around gold-medalist Nastia Liukin.